Round 2 is reissuing the 1:350 Classic Enterprise with an updated smooth hull, removing the engraved gridlines. This new version will also include painting information based on the restoration of the studio model. This is the long awaited 1:350 Classic Enterprise from the original Star Trek television series. Round 2 consulted with Gary Kerr, a renowned expert on special effects miniatures from Star Trek and many other series for this new model. The kit is an extremely accurate depiction of the Enterprise as seen in the original series. It includes a shuttle bay interior, bridge detail and is fully designed for lighting. 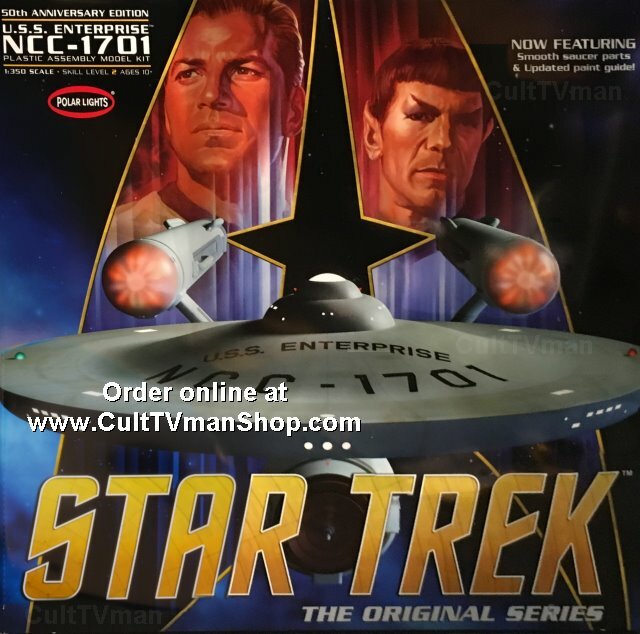 More photos of the original issue kit can be seen on the CultTVman website.